The Leafs are having a rough year – to put it mildly. And I won’t depress you by citing their record or any of the stats about the team. As I wrote earlier in the week, this season has become toxic and it’s not even fun to follow the team at this point. But we’re junkies. The team can lose, they can do so in the worst ways and with a rebuild pending, we can stare down the possibility that it will be likely end up that one of the NHL’s oldest and most storied franchises will end up making the Playoffs once in a full fifteen years. That’s rough, but yet here we are – reading and talking about the team we love to hate and hate to love. By all accounts, Connor McDavid is the best player to enter the NHL since Sidney Crosby and may actually end up being better. He is averaging well over two points per game in the OHL and will almost certainly be playing in the NHL next season as an eighteen-year-old. Hell, he could probably be in the NHL right now. The guy is so good that I remember hearing two years ago – when he was fifteen – that if eligible he’d be the #1 pick in the draft. That’s crazy. 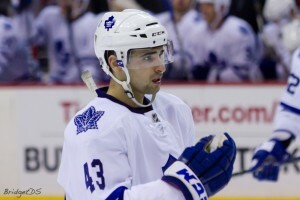 And there’s reason to believe he’ll be a Leaf. The Leafs, fifth-last currently, have an 8.5% chance of drafting him – now, that isn’t high, but it’s a lot higher than the odds that they would score so few goals this past January. It’s higher than the odds that they’d be able to trade David Clarkson or Korbinian Holzer for anything, which they did. And basically, the Leafs are due. When was the last time this franchise had any luck? From Gilmour getting hurt in his story-book come-back, to Bryan Berard – who may have ended up the best defenseman in team history – almost losing his eye, to the draft picks that became Niedermayer, Luogo and Seguin, or even just the fact that they picked first overall just once and it was the year after Mario Lemieux was drafted, the team has been beset by terrible luck. So they are due. Start buying your McDavid Leafs jerseys!!! When the Penguins drafted Crosby, they were coming off a season that saw a 38-year-old Mario Lemieux limited to just ten games (though he still scored nine points) and they had a roster that was absolutely brutal – they had virtually no assets to convert into anything for their rebuild – and they still won a Cup within five years. The Leafs, on the other hand, have Kessel, Phaneuf, JVR and Bernier. Now, maybe they keep those guys and go forward with them, or maybe they are converted to highly regarded prospects and first-round picks. Either way, the team is starting out their rebuild from a stronger than normal position. Let’s say they keep Bernier and JVR and recoup 2 first-round picks and one elite prospect for Kessel/Phaneuf. Add that to Gardiner, Rielly, Nylander, Kadri and two first-round picks this year, and they’re suddenly a really young, exciting team with a ton of potential. When Nick Kypreos called Kadri the “Leafs best centre” the other night on TV, it was the first I’d heard of the mainstream media giving Kadri his due. But many other people have been pointing out for a long time that Kadri has stats that make him a top-twenty centre in the NHL. People seem to expect guys to step right into the NHL and be stars or they write them off. This has happened with Kadri, but it’s worth pointing out that the vast majority of non-top-three picks don’t really become stars (if they do) until the age of 24 or so. 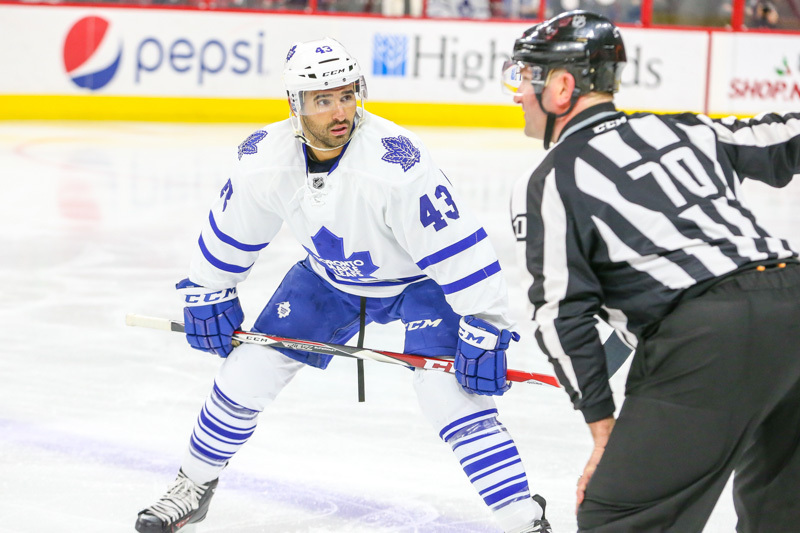 Kadri is right on track, and he’s probably the Leafs best all-round player at this point. If the Leafs get McDavid and he can step right into the NHL, the Leafs will suddenly have one of the best 1-2 punches down the middle in the NHL. 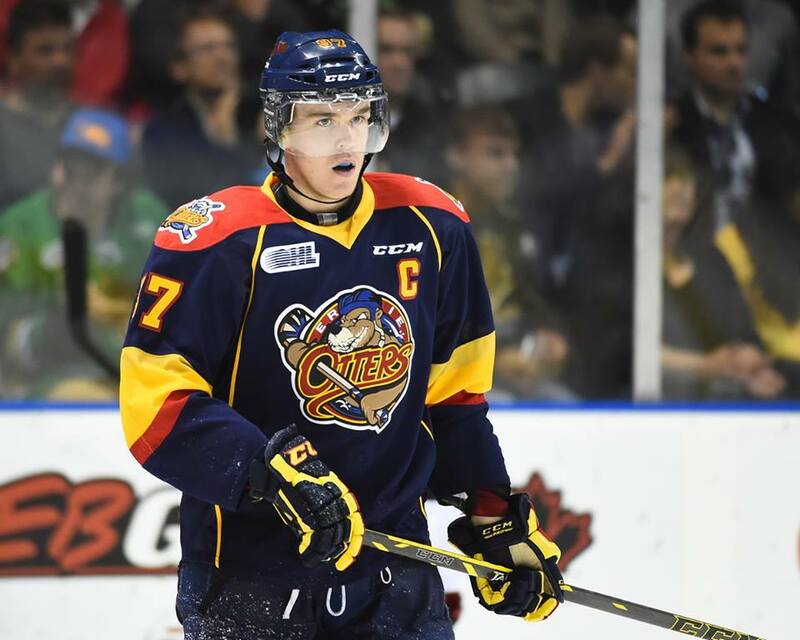 If they do not get McDavid, they should still be able to draft someone like Dylan Strome and, though it will take a bit longer, they’ll still end up having a great 1-2 centre combo for years to come. The fact is, after years of searching, the Leafs now have their first legit #1 C since Mats Sundin retired. The Leafs are about to embark on a few years of drafting high and they now have two of the most knowledgeable people in the entire world about the current crop of 15-17 year-old-players in the world. This can only be a good thing. 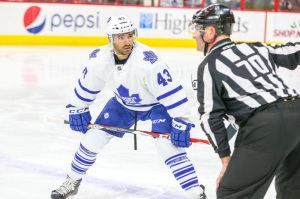 Besides that, the Leafs’ management group has shown lately that they are far more competent than the re-signing of Randy Carlyle, the Gunnarson for Polak trade and the three year contract to Robidas led us to believe. By trading their UFA’s and recouping assets for ones they were going to lose, the team reversed an alarming trend that has been prevalent the past few seasons of not getting back assets for UFAs (MacArthur, Kulemin). Then there was the miraculous trading of Clarkson, an elimination of a dark shadow that was hanging over the franchise; a move whose positive nature cannot be overstated. All in all, this bodes well for the future. Gardiner is 24 and Rielly is 20. These two players both skate like the wind and they both move the puck with precision and competence, and both are extremely fun to watch play. Despite the team being one of the worst in the NHL, both young defensemen have CF% just under 50, and both are primed to have great careers. 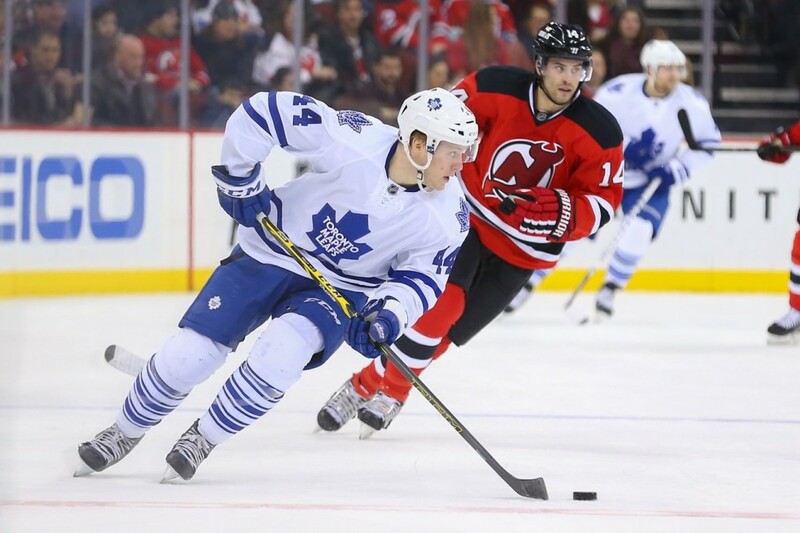 Though Rielly projects as more of an all-round player than Gardiner, Gardiner’s been a whipping boy for the Toronto Media and there is always some ill-informed joker wanting to make him a winger, but the reality is that he is a massively talented player who’s ability to keep the puck out of his own zone far outweighs his tendency to make some defensive errors. Since Horachek took over for Carlyle, Gardiner’s game has taken off – he has a team leading CF% of 56.4 – and though this may have been overlooked among the constant losing, the future of the Leafs blue line – with Percy as well – looks good. The Leafs are having their worst season ever. At least the worst of my lifetime. And yet, they still have some things to be happy about – everything I wrote above, plus you still get to watch Phil Kessel every night, you get to watch Morgan Rielly develop, and William Nylander will be here soon. The team may not have lived up to what we hoped when they acquired Kessel and then Phaneuf and then JVR, but that’s life – things don’t always go as planned. Sure, the team is owned by two evil companies no one likes and we can only hope that one day a private single owner emerges, but looking at the roster today and thinking about the fact that this team has never made a point to bottom-out and pick high for a few years in a row starts to make me excited for the future. I know it’s a longshot that we get McDavid, but really, there’s four or five guys worthy of a #1 overall pick most years, in this years draft. The team recently acquired an entire second set of draft picks (excepting, I think, a 2nd) and they have five or six players already worth being excited about. It might not be pretty right now, but it’s looking up. And, after the last five months of hockey, I’ll take that.